After a year of waiting, Christmas is only one week away, and now is the time to be sure that you have scheduled any holiday help that your loved one may need. While the holidays for many are a time of gatherings and cheer, they may also be a time when an extra hand is needed to help care for a senior loved one. To help fill this need, many private duty elder care providers offer holiday service, and with the proper planning, you can likely get some help for a loved one – even on Christmas Day! If you do not already utilize an in-home care service, you won’t want to wait any longer to locate a reliable provider in your area. Ideally, look for an agency that is accredited, licensed (if necessary in your area) and who uses a robust home care software or home care system, such as ClearCare, to manage their agency’s operations. 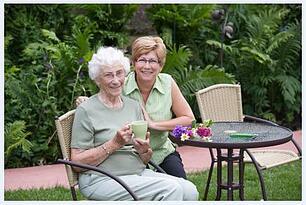 Together with your home care provider, determine the need for a caregiver to be with your loved one over the holiday. Will your elderly mother need some help getting ready for Christmas dinner while you spend the morning celebrating with your family? Or perhaps an overnight shift on New Year’s to calm her nerves from the fireworks while you’re out with your husband? If so, work with your home care provider to schedule accordingly. With a home care software or home care system to manage caregiver schedules, an agency should be able to inform you of their ability to fill a shift within 12-24 hours. After your need is decided, work with the agency scheduler to schedule shifts accordingly, so you’ll have peace of mind that both you and your loved one can safely enjoy the impending festivities. With the power of ClearCare’s home care software and home care system, you can even log-in via a secure portal to review upcoming shifts and make sure your caregiving calendar is covered. While caregivers are providing you some respite, if you’ve chosen to use an agency who utilizes a robust home care system or home care software, such as ClearCare, you’ll be able to log-in to check on real-time care updates from the home of your loved one – giving you the peace of mind to enjoy the holidays without worrying that your loved one is well cared for. Whether you need some extra time to wrap gifts, a few hours to finish that last minute shopping, or someone to provide care while you take some time for yourself, partnering with an elder care agency that utilizes ClearCare’s home care software and home care system can make sure that the holidays are a jolly good time for everyone.